Choose to stay at the Branhoc hotel and you will be able use one of our 2 private car park for free. The bar or the parc will let you have rest after your day of visits in Brittany. You will find also some nice restaurants around. Last but not least, please note that all our rooms are fitted free Wifi internet access. woodland park, redeveloped in 2012. It’s botanical journey, landscaped pathways and it’s sunny terrace simply invite you to relax. 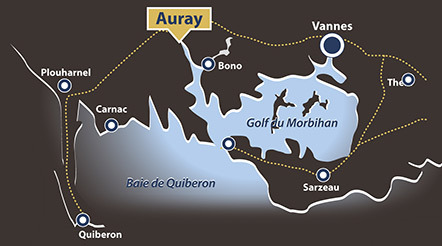 In the direction of the port of St Goustan, a listed tourist site, situated only 700 metres away, several of our partner restaurants welcome you to their establishments. The menus: seasonal, traditional and refined, fish and seafood specialities… and restaurant / hotel package deals are available. Among the programmes in each room: free access to all TNT channels and also to the Canal channel: Canal, Canal Sports, Canal Cinema. The Hotel Branhoc bar welcomes you for a coffee break or a pre dinner drink in a warm, friendly environment, during the day or in the evening.